Margaret K. McElderry Books, 9781442468368, 720pp. "Positively aquiver with secret ardor and murderous zeal." 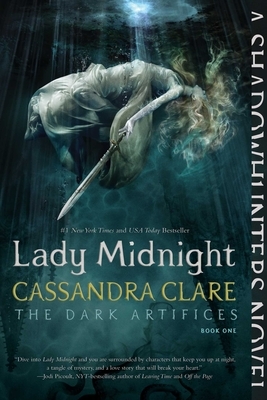 "Clare delivers spectacular Shadowhunter fare with her trademark street tough yet emotionally fragile adolescent characters taking on adult roles and includes plenty of violent action and passionate romance to satisfy fans of “The Infernal Devices” and “The Mortal Instruments” series, who will be thrilled to see some of their favorite characters from the previous books make appearances."